Also, available with a white granulated surface. Call or visit our store for other specials. 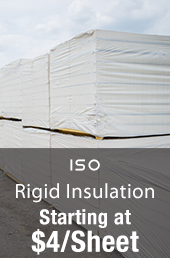 Ice & Water Shield - 2 sq/rolls. All laminate shingles are on sale with select styles & colors available as low as $13.33/bundle. Premium colors are priced under $16/bundle.